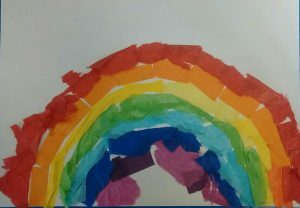 We finished our series on the weather by making pictures using the seven colours of the rainbow. 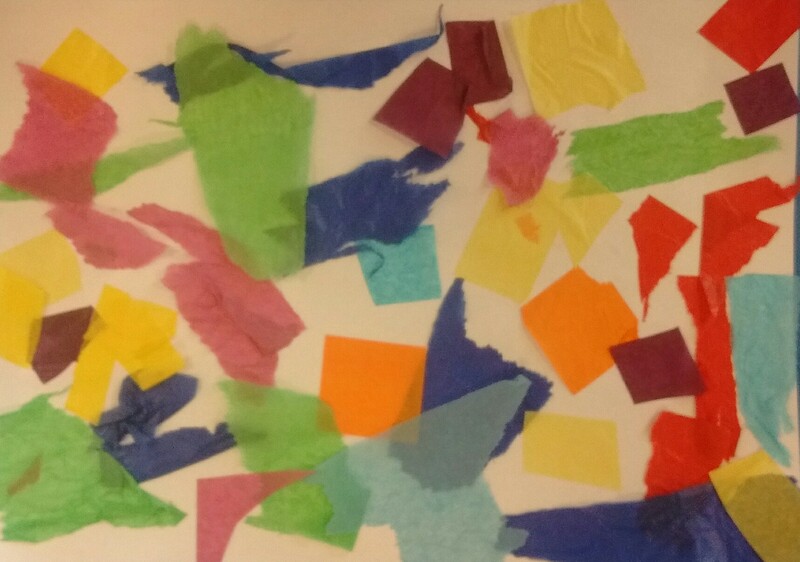 Tear the tissue into small(ish) pieces and let the children glue them onto the paper (best to apply glue to the background sheet rather than to the tissue paper). If you feel like guiding the children to make a rainbow pattern, great. If not, random colours look great too.